When I go on one of my “Dead Ancestor” tours across the country, I take along a micro-cassette recorder. I see a lot of interesting things as I’m driving around and don’t want to forget them. It’s also helpful for remembering where I went and what I did there. Later, I transcribe the tapes into a Word document. Perhaps if I had a traveling companion, scenarios like this would not happen. “Looks like Siri’s taking me on another wild goose chase again. I should have been going on Route 7, probably, but okay, I’m going the way I’m going, because Siri wants me to go on this route. Anyway, the forest to my left is a wildlife refuge, despite all the hideous fencing. Siri: Turn left onto west Washington Street. Siri: Turn right onto North Ireland Street. Eilene: Siri’s making me mad. I want to go back and take a picture of this courthouse clock tower. It has a tree growing out of it. This is unbelievable. Her voice irritated me, so now “she” is an Aussie male! That’s my favorite road trip voice! My roommates & I named him Jack on our last trip. Thanks. I do need to give him a name, though we’re technically not that intimate. I shudder to think what words I’d be saying as I drove along, irritated by Siri and confused about where I was going. I don’t think I’d be able to share my transcript on my PG-13 blog. Believe me, that was a mild quote – I have some pretty harsh words in there, too! All is good until Siri takes you to the point of no return….. They know when to be quiet, much better travelling companion! Oh good! That was my intention. 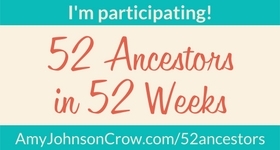 Recording everything during genealogy trips is a really great idea–I’ll have to start this for my research too! Be careful. The transcribing process (at least my low-tech version of it) is quite tedious! They’re mulberry trees and they’ve been growing there since the courthouse was built. A strange, but true, story! I rarely do, but it can be helpful when trying to find a place in a city I’m unfamiliar with. Why argue with a computer? It’s nuts! But we sure do it. And the tree growing out of that clock tower is wild! Today’s memory will be of the tree growing out of the clock tower!